Everything is clean and new! 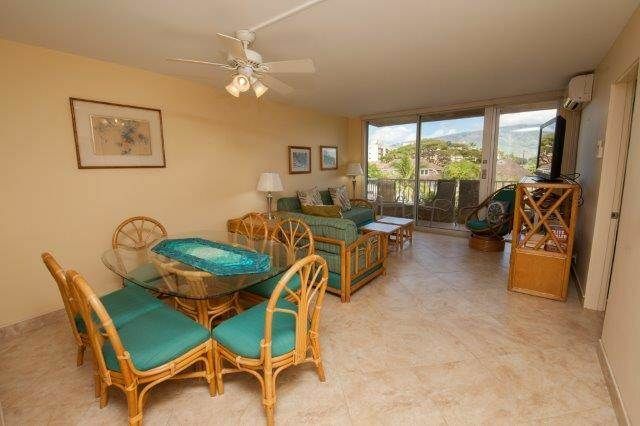 Full kitchen, AC, internet, Netflix, great pool, beautiful beach steps away, really good BBQ area, coin operated laundry on each floor of the complex, central location just few minutes from the heart of Kihei and only 15 min from Kapalui and 30 min from Lahaina, so perfect locale! Charming island decor, comfortable King in one bedroom and two twins in the other, and a clever couch that coverts easily to another 2 twins, 2 full baths came in handy. Kitchen amazingly complete, even some foil, Saran wrap, baggies, basic condiments, icemaker. You get so much for this price; we've paid $800/night for similar amenities in kaanapali, which were obviously more high end, but you don't get to take their nice stuff home with you, and this place is quaint and comfortable and centrally located, and we had $600/day more to spend on US! Jason from Bello realty (managers) was so kind to give us a late check-out as we had a red-eye flight.